Do you have a horse loving daughter in your home between the ages of 7-10 (or a little older)? If so The Thinking Tree has a journal just for her! Horse Dreams has 180 Learning Games, Lessons, & Activities. This one is extra special because 11-year-old Naomi Brown (the author’s daughter) illustrated and helped put this one together. What an inspiration Naomi is to other girls her age! 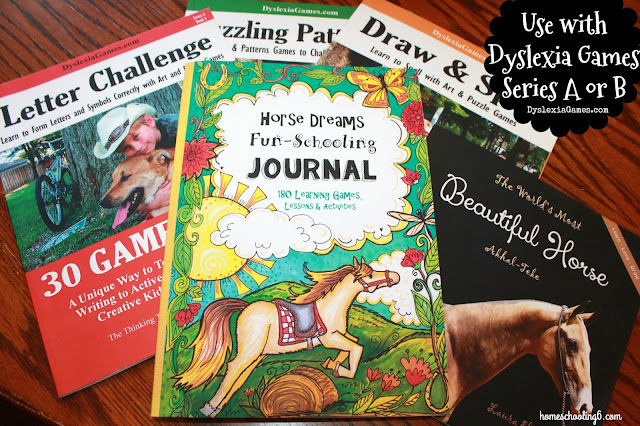 Action Steps: Go to the library or bookstore, bring home a stack of at least FIVE interesting books about horses (make sure to choose some with pictures and diagrams and illustrations), and few horse movies too along with gel pens, colored pencils, and a pen or pencil. Depending on the age and goals your daughter can complete between 2-5 pages a day for a few hours of delight directed and fun learning. ~Coloring pages: use crayons, gel pens, or colored pencils. Let the child add to the picture and make it her own using! ~Five Facts About Me: this page has an illustration to color and write down facts about it. ~To Do List page: this page has space for your daughter to write her list of things to do, draw & doodle, and a How are you Feeling Today? (she can color the emotion face). ~Art & Logic: here she will draw the missing part. ~Reading Time page: she can write & draw about what she read. Photographs of real horses throughout are used in this journal. ~Backyard Science page: draw or write about the things you see outside. ~Cursive Writing Practice: half the page has a cursive upper & lowercase font. The second half of the page has lines to practice cursive. ~Spelling Time: this page has your daughter use her books to find 10 words that start with a certain letter (you choose the letter). ~Color & Trace the Horses: an illustration drawn by Naomi to color and trace. ~Movie Time: watch a movie, documentary, or tutorial about horses and write/draw and rate it. ~Math Design Time: graph paper for math practice, lessons, stable designs, or notes. ~Trace & Color: a two-page spread. On the left is a photograph of a real horse on the right is the same horse but printed in lighter ink for your daughter to trace & color. ~Copywork: copy a paragraph from one of her books and below she can illustrate it. ~ list to an audiobook, classical music, or read aloud and doodle or draw on this page. There is also space to write what your daughter listened to. ~Creative Writing: this page has a picture that your daughter will write about. The paper in this journal is a nice cream colored paper which is great for dyslexic students. The Horse Dreams Journal uses the Dyslexie Font by Christian Boer. Use this book along with Dyslexia Games Therapy to help your child overcome problems with reading, writing, and spelling. Visit www.DyslexiaGames.com and choose Series A for ages 5 to 8, or Series B for Ages 8 to 12. 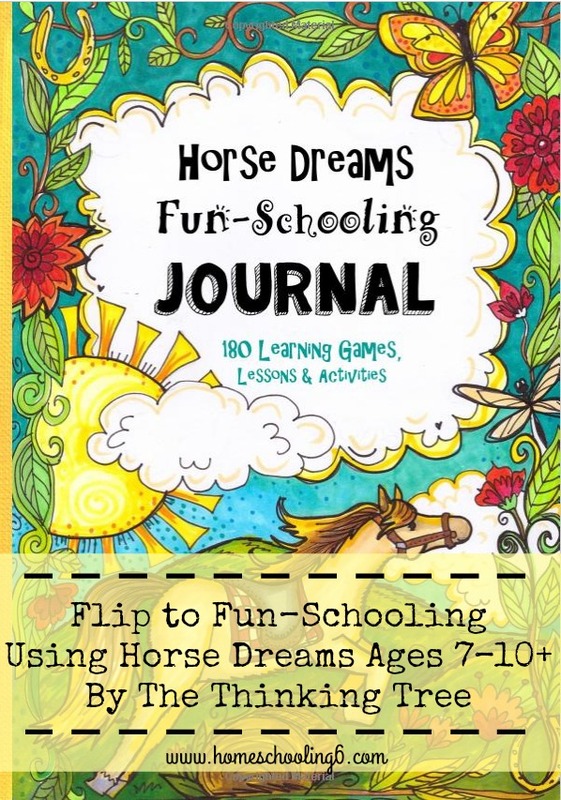 The Do-it-Yourself Homeschool Journal: Horse Dreams is great for students with Dyslexia, Asperger's Syndrome, ADHD, and other learning challenges. Sarah Janisse Brown is a dyslexic therapist and creator of Dyslexia Games (www.dyslexiagames.com). Sarah has helped many moms Flip to Fun-Schooling using her Curriculum Journals.